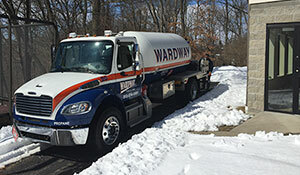 Wardway supplies many excavators, contractors, landscapers and other commercial accounts with low-sulfur diesel for over the road vehicles, and non-taxable dyed diesel for off-road equipment. Fuel storage tanks and pumps are available. Premium On-Road Diesel fuel is available 24/7 at our new fueling island.